But you probably secretly love it. 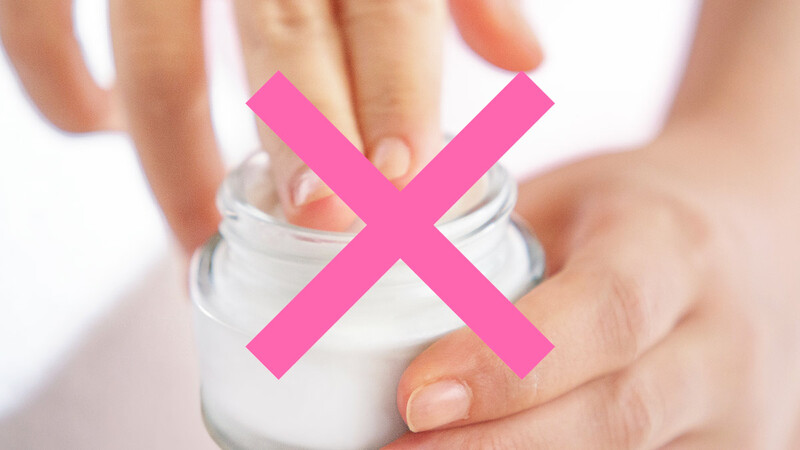 If you have sensitive skin, then you probably also have an entire checklist of skincare ingredients to avoid. And most likely, fragrance is in this list—not because you don't want your products to smell good, but because your dermatologist probably told you that it's not the best thing for your skin type. While that may be true, have you ever actually wondered why? What's so terrible about fragrance that some brands chose to have none of it? To find out about it, we asked board certified dermatologist Dr. Windie Hayano. She explains that it's generally good dermatologic practice to avoid fragrance because "anything can cause an allergic reaction, even if it's delayed." You don't need to have "sensitive" skin per se to get a negative reaction. However, she does stress that fragrances are "notorious sensitizers and allergens" that you don't want near already-reactive skin to avoid making it worse. "Fragrances in skincare have also been attributed [to] cause a chronic but mild level of inflammation leading to overly sensitive skin and even pigmentation problems like melasma," the derm adds. Dr. Windie says that there's little difference between synthetic and natural fragrances, like those that come from essential oils like lavender. "As a rule, fragrances are sensitizers. There really is no difference between synthetic or essential oils in terms of allergic potential," she clarifies. "Most people mistake that just because it is cold pressed, organic, or 'natural', it is not irritating—but that is not true." Now, why does our skin "hate" fragrance? The derm answers, "In general, those with sensitive skin usually have a form of inflammatory disease that compromises their skin barrier." Ingredients like fragrance, therefore, only add fuel to the fire. People who have skin complications like atopic dermatitis, seborrhea (or dandruff, when it affects your scalp), rosacea, and lupus are more prone to reacting negatively to fragrance. "When there is usually a break in the skin's natural barrier, skin is easier to irritate," explains the doctor. According to Dr. Windie, there is a directive by the EU that requires the listing of fragrance substances in product labels. To see the names of those ingredients, click here. Aside from those listed, she adds that ingredients like cinnamyl alcohol and cinnamal are common allergens in products from Thailand. "It is also important that cosmetic products have vehicles (the substance that carries the fragrances like the creams and gels) that can be contactants (allergen that causes sensitivity). Natural pigments may also serve as allergens as well," says Dr. Windie. That said, the derm presents a silver lining for those who love scented skincare. "Lately, advances in skin formulations have led to better tolerability of fragrances and surfactants in cosmetic consumer products," she says. "Technology has also paved the way to make irritating ingredients and bio-actives be more tolerable, well-absorbed, and occlusive." In the end, however, fragrance makes the skincare experience more satisfying. Some of us may even like certain products specifically for the smell. The derm agrees—"Scents evoke a general sense of well-being and pleasure, which is why you'll be hard pressed to find consumer products without fragrance." Finding products that work for you also involves a lot of trial-and-error, so your skin may not always react negatively to a fragranced product. The results, as always, will vary!